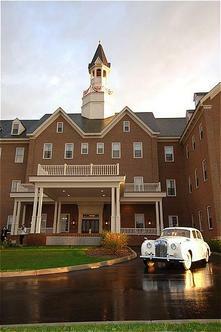 The Delafield Hotel stands sentinel on a knoll, beckoning travelers from Interstate-94 to one of the most thriving destinations in southeast Wisconsin: Delafield. The hotel is the perfect choice whether holding a conference, hosting a wedding or booking a weekend break. This modern redbrick hotel sets new standards in quality, luxury and service. Each of the 38 oversized suites has elegant, comfortable furnishings each includes a lavish spa bathroom, bubble massage, chromatherapy tubs and an array of state-of-the-art facilities. For those looking for culinary expertise, Andrew, the hotel restaurant, offers an unparalleled dining experience with its mellow jazz bar, floor-to-ceiling private booths and exquisite parlour. The menu features the finest American cuisine, fully complimented by an extensive world-class wine cellar with over 2,000 wines from the world finest vineyards.